Inspiring new book, out now! 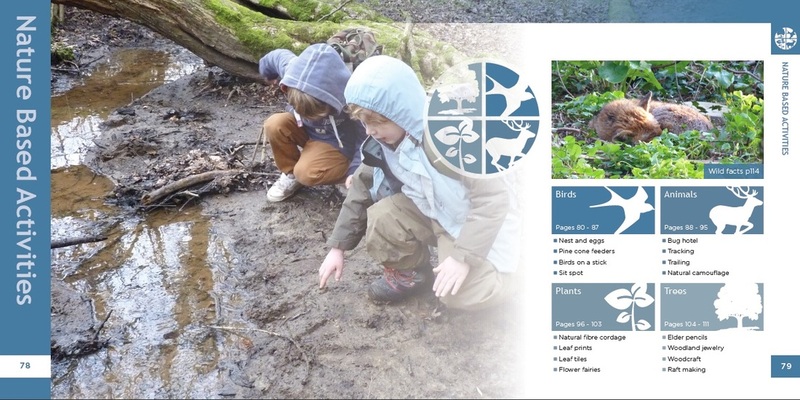 This offers over 100 games and activities that connect people with the natural world at little or no cost to themselves. We have included some example pages! 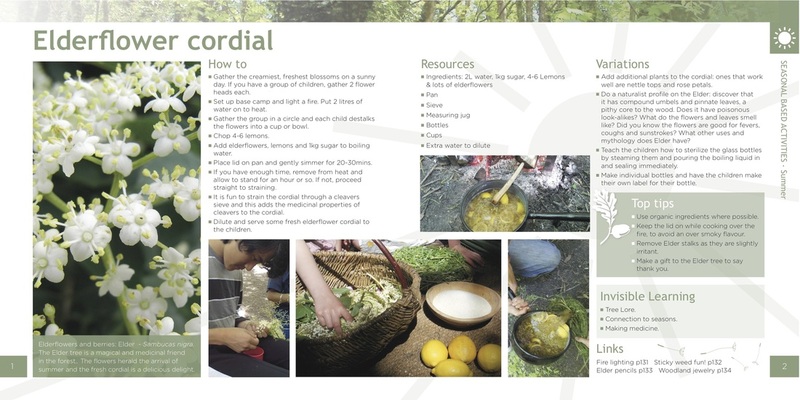 "Children naturally explore and experiment. It’s part of feeling fully alive, whether this is poking around in streams, climbing trees, or mixing ingredients. Things can sometimes go wrong. But statistically, the chance of anything going seriously wrong is vanishingly small, and the risks can be managed through taking a thoughtful, balanced approach. What is more, these adventurous behaviours lead to all kinds of benefits. These include hardwiring the brain, building and maintaining resilience and in an uncertain world, helping children to be able to manage their choices and grow their capacity to take healthy risks." This year, for the first time we are meeting teachers who have themselves never played or enjoyed the outdoors during their childhood. 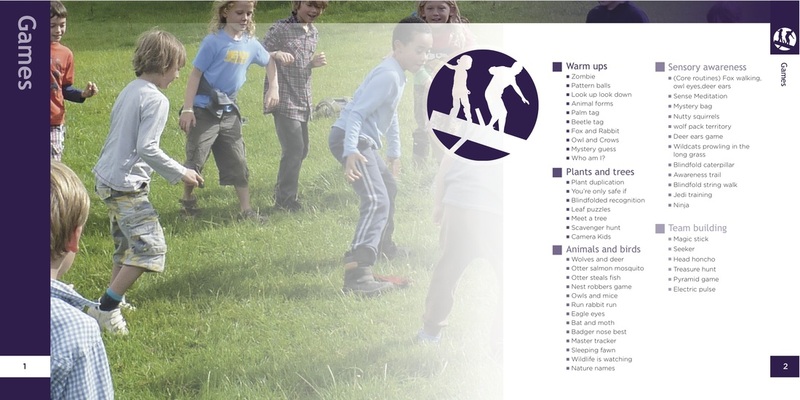 They don’t know what to ‘do’, and place a low value on the outdoors as a learning environment. 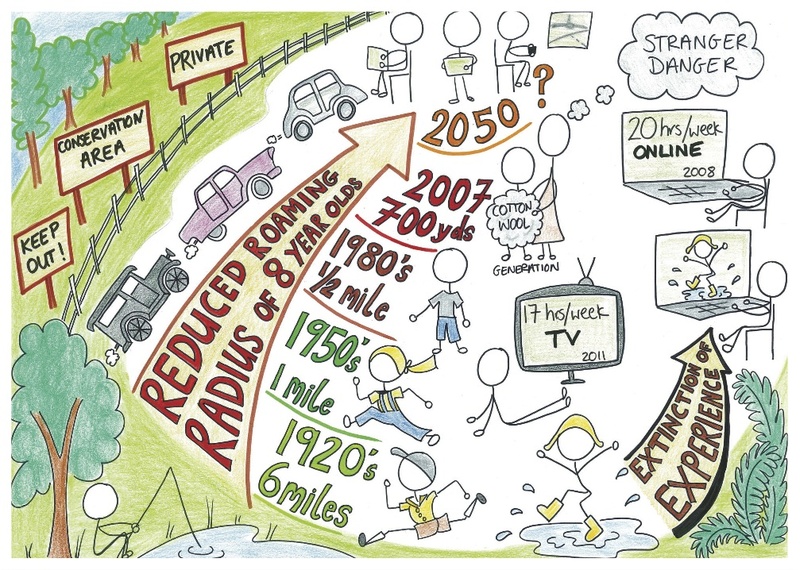 We know young people today are spending hours on video games, and that their roaming radius has reduced by about 70 % since 1950’s with the consequent rise in levels of obesity, mental health issues and isolation. Click here to find out more about the three authors!